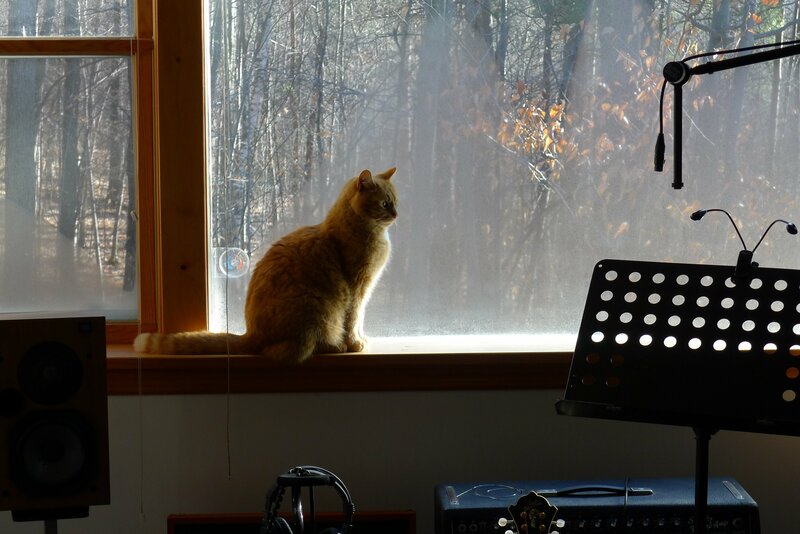 Todays photo, capturing our feline engineer Arlo, carefully listening to mixes from yesterdays recording session. Those ears, capable of hearing very high frequencies, can come in handy when mixing! Previous PostWhat’s wrong with this Fender Bassman amp?Next PostStan Getz Bossa Nova Anyone? Now, that is one cool cat!